Time and again, many have either smirked on the idea of the importance of blogs in their businesses or have welcomed the thought of it but has not fully taken it to good use. Well, I guess they have gotten stuck to the era where internet is only a futuristic theme in a movie. 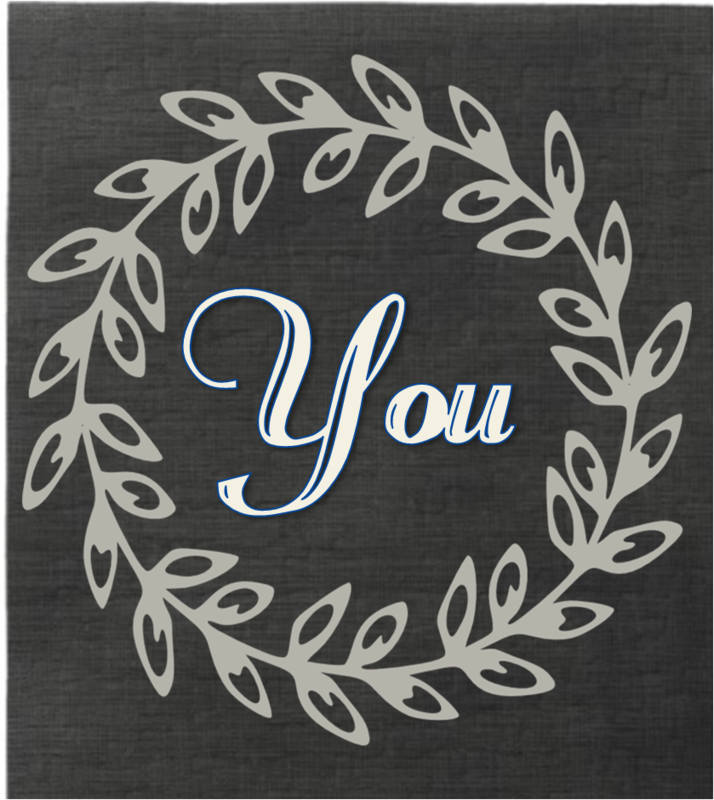 However, many, countless at that, have rested comfortably with blogging as part of their marketing strategy. 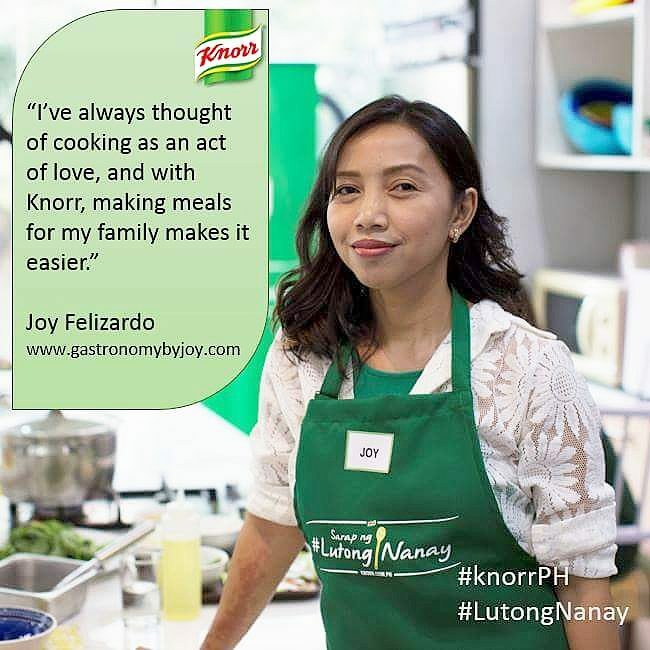 I may sound a little biased since I have been blogging for more than five years now, and it makes my day every time a business owner, mostly restaurant owners, would come back to me and thank me for the mileage that have added to the sales and marketing of their brand or product. 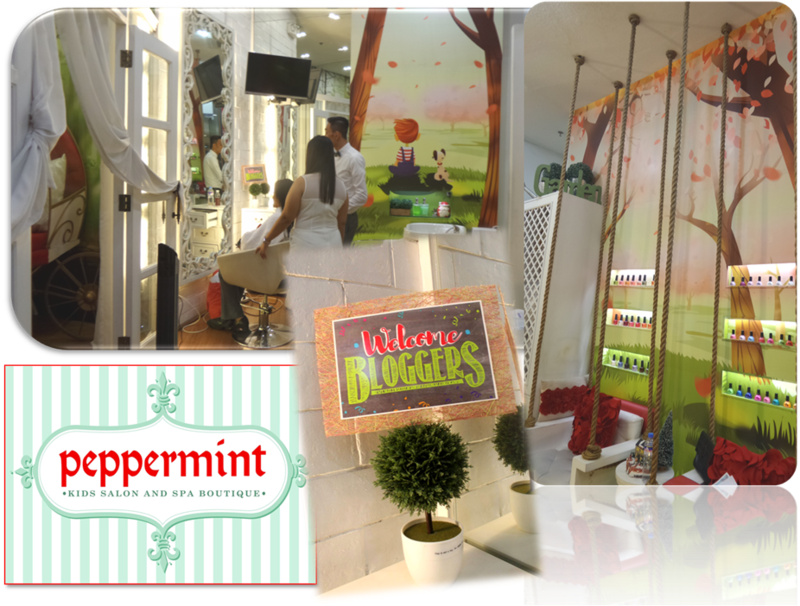 One of which is Peppermint Kids Salon and Spa Boutique. Charry Flora, their General Manager have acquainted herself with some bloggers who have written something for them. Having such a business that's out in the web does help in spreading the news about what you're offering and how the writer or blogger have experienced it himself or herself. 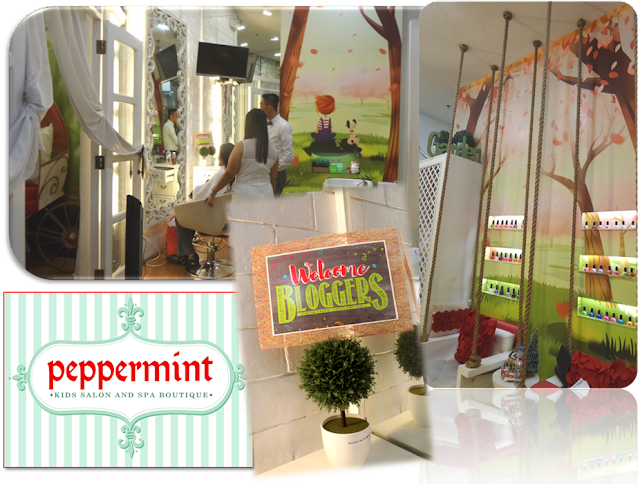 She had been very appreciative of the blogs that have featured and reviewed Peppermint Kids Salon and Spa Boutique. So, as a way of saying thank you, the company have set up an exciting contest for any bloggers who wants to write about them. 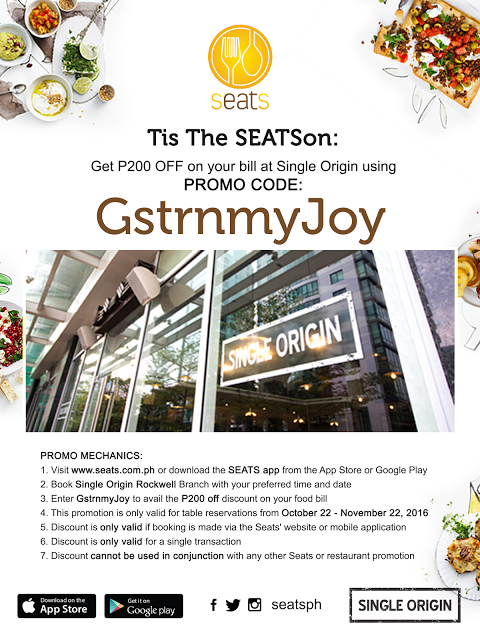 You've read it right...A gorgeous amount of Php 50,000 or Php 20,000 or P 10,000 worth of services for the three winners with their chosen companion. 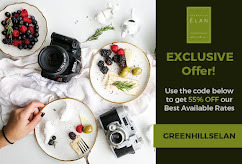 Three bloggers will be picked after their blogs have been evaluated, where in the first price of course is a whopping P50K, second best will receive P20K and the third will have P10K. All are Gift Vouchers which can avail any services of their choice and can be used the whole year and can be shared to a companion- a son, a daughter, a parent or a BFF. If you want to achieve a year with a beautiful you, no messy hair, clean and polished nails, scheduled spa-dates and revitalized weeks, then this is your chance. To get a shot on any of the three prices, I'm sharing with you the contest details. 1. 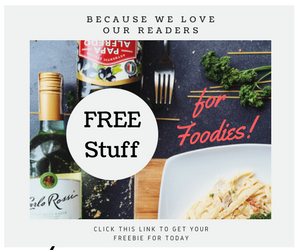 The contest is open to all bloggers, no niche in particular, with active blogs that have been updated within the past one year. 2. 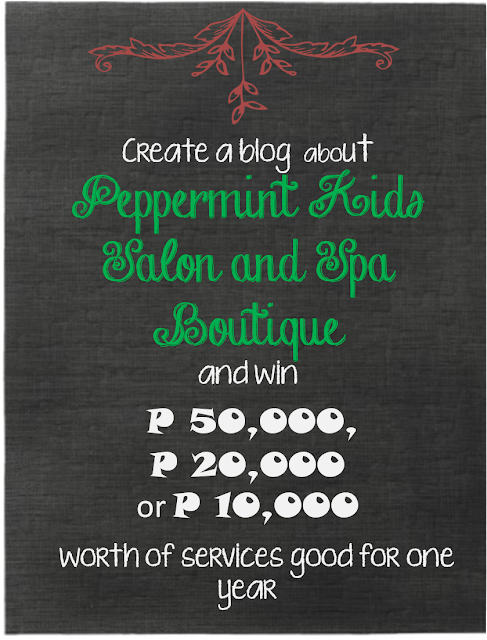 Create a blog entry describing your experience at Peppermint Kids Salon and Spa Boutique. It may be in a story-telling form of either yours or a kid/s you brought to the salon for service. 3. You must share at least one particular service you or your kid/s companion/s had availed. 4. You must share the current promo the salon has. 6. 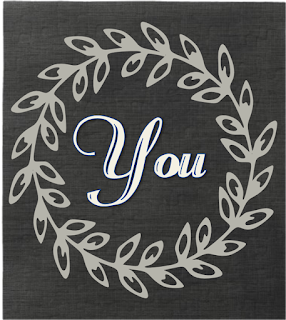 Your blogs must be shared in your social media accounts, thus your profile must be set to public. 1. Creativity – how you find the service and the facility and how well you were able to tell your story in a way that you encourage your readers matters. 4. Content – you must share at least one particular service you or your kid/s companion/s had availed, and the current promo the salon has. 5. Page Plugin – The Facebook Social Media “Page Plugin” should be included in the blog entry (refer to Annex “A” for the guidelines to using the Social Media Page Plugin). (Option only, may be opt out in your blog but considered as a plus factor. 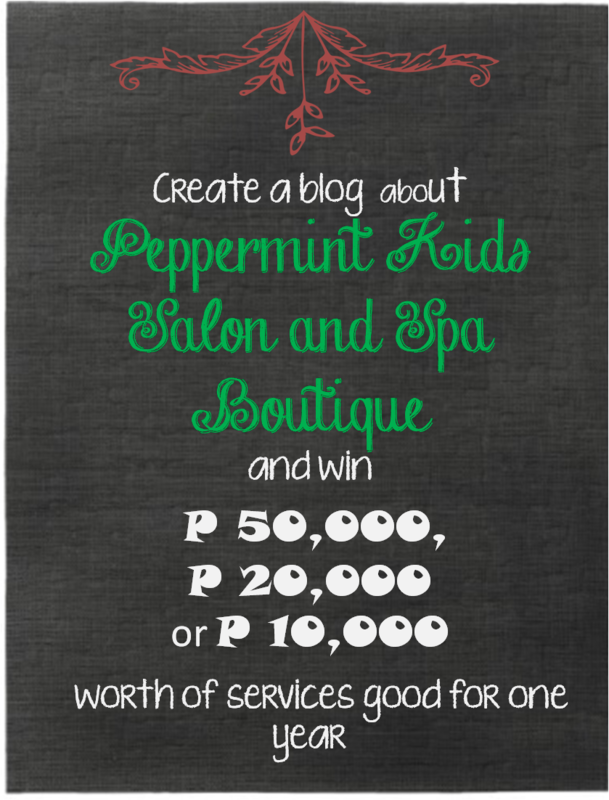 Once the blog is posted, Peppermint Salon requests that you keep your blog entry for at least a year so they can also cross-share your blog in the social media sites. For the winners, when using the Gift Certificate, they must call us for appointment to ensure that you are properly accommodated. Please abide strictly by the rule of “no appointment, no service”. Saturdays and Sundays are “high traffic” days. There could be quite a queue before you or your kids are serviced. It is best to arrive early during weekends for your appointments or to schedule your appointment on a weekday. So, if you're a blogger and have visited the salon, why don't you share us your wonderful spa-like experience and get yourself a chance in winning. 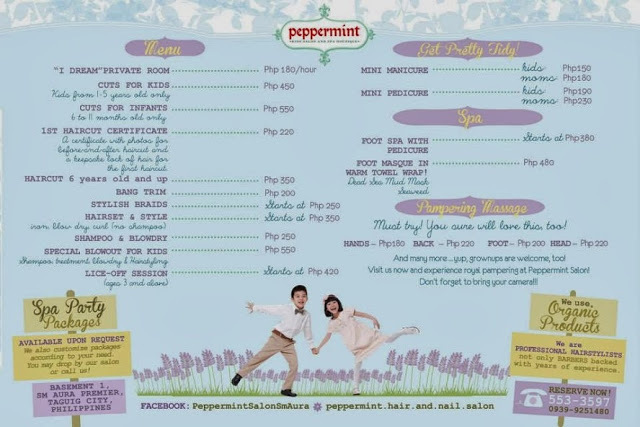 If you haven't tried them, now's the opportunity to do it, and make sure to tag along your kids and give them something they could keep in their precious memory bank, and Peppermint Kids Salon and Spa Boutique will guarantee that, with all smiles. The contest seems interesting. Internet presence is indeed important for startup companies to reach more customers. I bookmarked your post. Thanks for sharing this! What I love about spas nowadays is that even kids can get pampered. Perfect mom-daughter bonding. Good luck!